Next Epic Games Are Launching A Store With 88% Revenue Going to Developers. Jio may not be the only company offering affordable 4G enabled feature phones as the ‘Internet ruler’ Google itself has launched an affordable feature phone named as Google “WizPhone” at just 99,000 IDR which translates to $7 or INR 500. But the phone is currently limited to Indonesia and there are no such commitments from Google to launch it in global markets. The company unveiled it at a Google for Indonesia event and it goes by model number ” WP006″. Now let’s see what Google WizPhone has to offer in the $7 package. 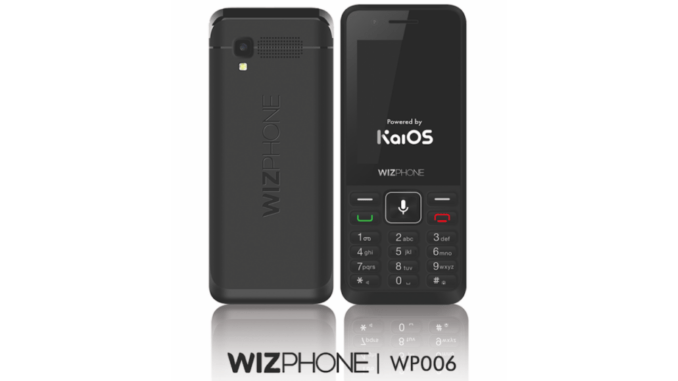 Just like the Jio feature phone, the Google WizPhone runs on KaiOS which works perfectly with feature phones. HTML5 based KaiOS also has its own KaiStore which has most of the important apps such as Facebook, Twitter, WhatsApp and Youtube as well. 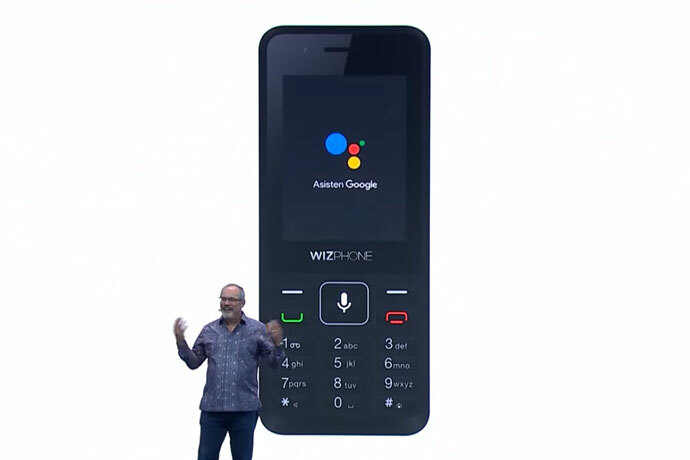 The highlighting thing about Google WizPhone is that it comes with Google Suite consisting of all Google apps such as Google Assistant, Google Search, Google Maps, and other apps. The interesting thing is that this phone is 4G enabled that means users of this phone can use high speed internet. It also has Bluetooth, Wifi, and GPS connectivity. The device is powered by a Qualcomm MSM8905 chipset with 512MB of RAM and 4GB inbuilt storage for storing all types of content. It has an 1800 mAh battery and a 2-megapixel rear camera with single tone LED flash. On the front, it has a VGA camera. In terms of design and build, the WizPhone looks pretty solid and has a 2.4-inch display with a good keyboard. On the keyboard, the middle navigation button can be used to toggle Google Assistant. The feature phone can be purchased via vending machines at Alfamart stores in Indonesia. 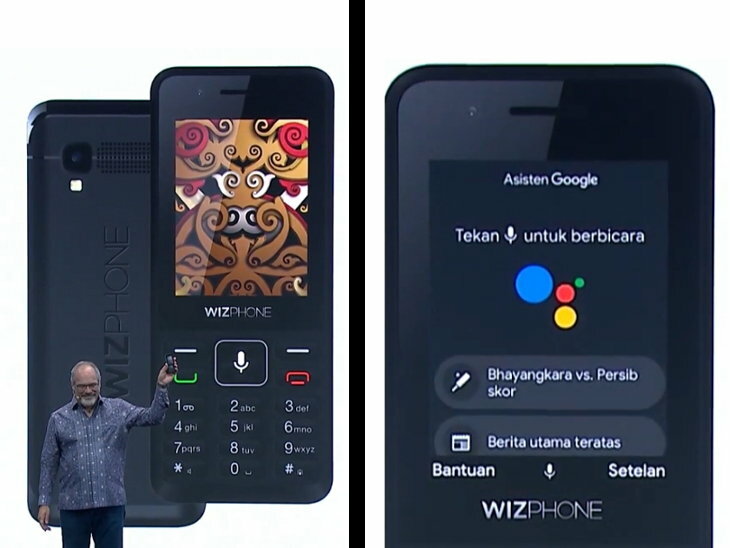 Now if Google brings the WizPhone in India it will be a direct comparison to Jio Phone and Jio Phone 2. Considering the sales of Jio Phone here in India, we expect Google WizPhone to overcome Jio Phone’s sales because of the low price and Google’s Brand Image but only if it ships to India. Stay Tuned for more updates on Google WizPhone and also Subscribe to Our YouTube Channel Gadget Gig For Latest News, Reviews, Unboxing and Tips/Tricks.